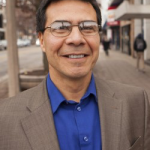 Jorge Delva is a professor and associate dean for Research. He conducts research focusing on addressing and reducing health disparities and helping improve the lives of low-income and racial and ethnic minority populations. His research began in Honolulu two decades ago where he worked on SAMHSA-funded projects aimed at improving the health and mental health of Asian and Pacific Islander children and their families. His state and NIH-funded work has served to advance the substance abuse field’s understanding of psychosocial-cultural mechanisms associated with substance using behaviors among Hispanic/Latino, African American, and American Indians of lower socio-economic position in the United States and with disadvantaged populations in Latin America. He is presently conducting research to understand the mental health consequences children of undocumented parents experience as a result of living under the constant fear of being arrested and deported.